During Algature workshop the participants have the possibility to learn the basic instructions and material features related with the bioreactor assembly. 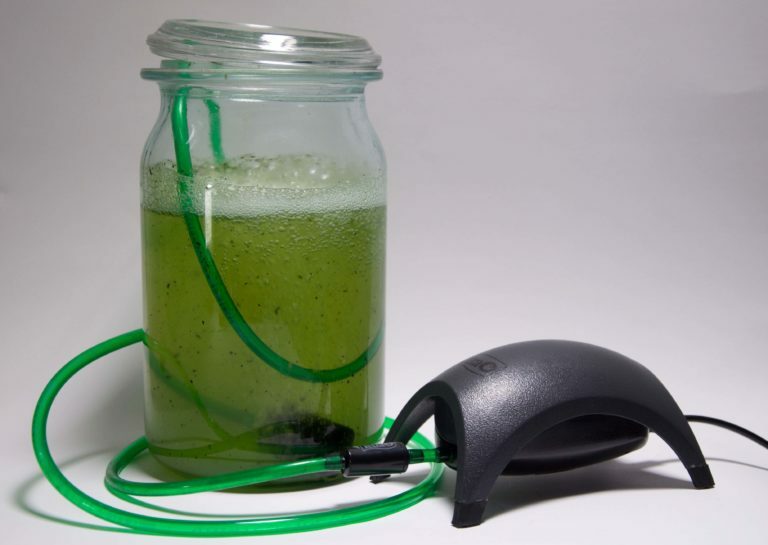 They gain knowladge through direct experience and from a theoretical introduction to the algae world, receiving tailored advice related to their creative needs. Many interesting aspects related with algae, like their pigments, play a central role in the start of the photosynthesis process. 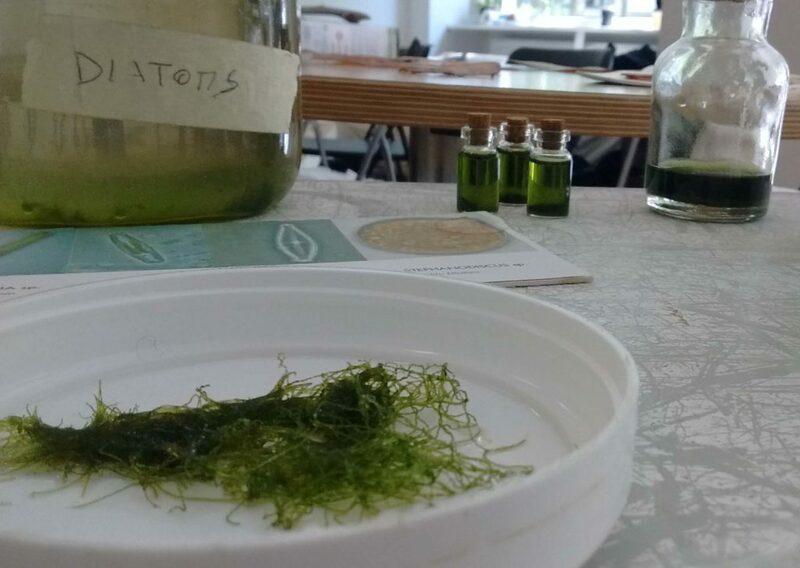 Natural pigments are commonly used for industrial use in cosmetic, food and artistic elds, becoming today an important aspect for the circular economy, and algae are one of the best producers of this organic material. 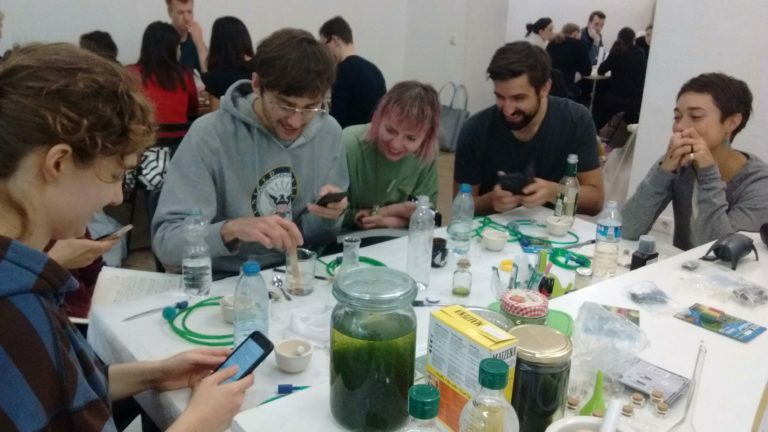 Participating at Algature workshop people discover also how many materials are connected with algae and why would be important learn to grow them in a DIY manner. 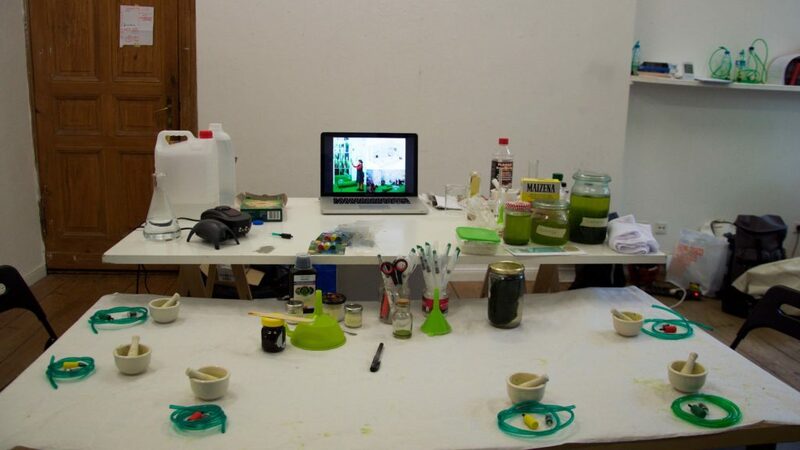 The second part of the workshop it’s focused on algae pigments extraction, using a process normally adopted for each type of vegetable and obtaining a liquid pigment which they are free to play with.